It was just another busy work day with a deadline for Geoff Foster. But that day he designed that small plastic part — now known as US Patent 6,024,591 — set Geoff on a totally new life path. That bit of plastic, a sealed electric connector for Ford Motor Company, has been used in 31 million Ford, Lincoln, Jaguar and Mercury car models. And today, Geoff has built his own injection molding plastics empire of his own. The New Jersey native moved to Greensboro to play football and study engineering at NC A&T. His first job out of college was working at AMP, now Tyco Electronics. The company helped him get two masters degrees, including an MBA from Wake Forest University that gave him the skills to branch out into the business end of the industry. 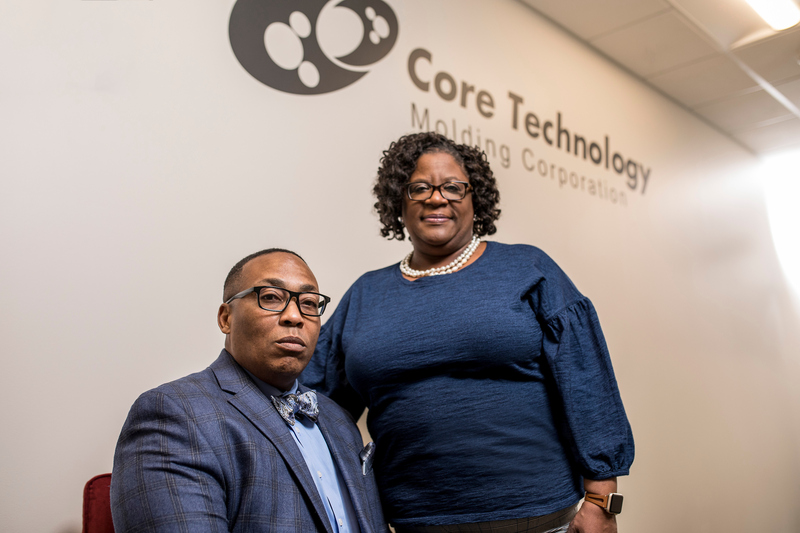 Core Technology Molding Corporation was founded in 2006 and in 2012, Geoff took full ownership. His first client was Tyco Electronics, and they built from there. “There are 19,000 injection molders in the US, but there’s only six (minority owned businesses,” Geoff says. Core Technology is the only one with the facilities to create medical equipment. Core Technology Molding has about 100 unique products and parts that are created and designed in a given year for clients like HAECO, BMW, Newell Rubbermaid, Consolidated Metco, KontrolFreek, Parker Hannifin, Draexlmaier, and Merck. The business ships products to 150 countries. “There’s always something new, it keeps evolving,” Geoff says. Last year, they opened a new state-of-the-art facility with that is building products and parts 24 hours a day with 26 employees. The building sits right beside the Joint School of Nanoscience and Engineering in East Greensboro – a proximity that has paid off for Geoff’s clients. 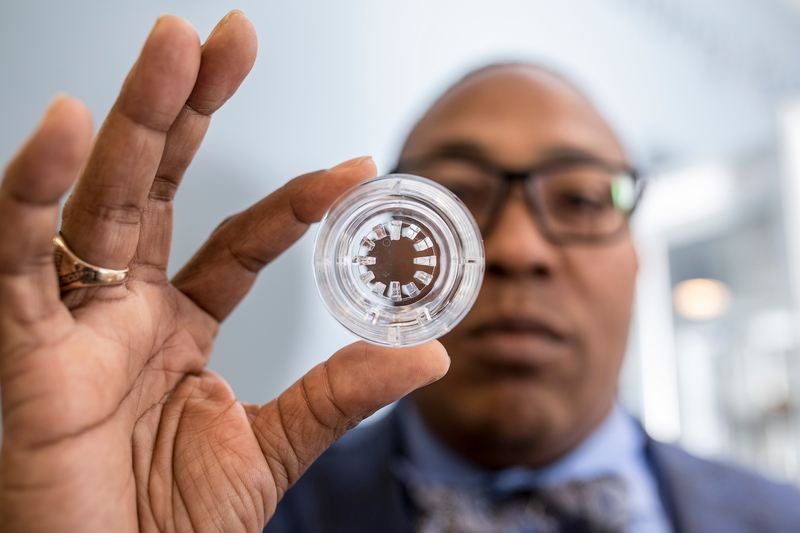 “Having the R&D arm is what sets us apart; we are able to 3D print plastic and metal and create parts over night for our clients, because of them,” he says. His wife, Tonya, a registered nurse, has been by his side every step of the way. She joined the company full time in November 2018. “The business was growing very fast and Geoff’s plate was too full. I saw this as an opportunity for me to take things off of his plate and focus on HR and employee recognition activities,” Tonya says. She works to keep employees engaged and supported. “Our turnover is low; when our clients come to visit, they know our employees by name and recognize when someone is missing. It is important for them to know who is working on their products,” Geoff says. 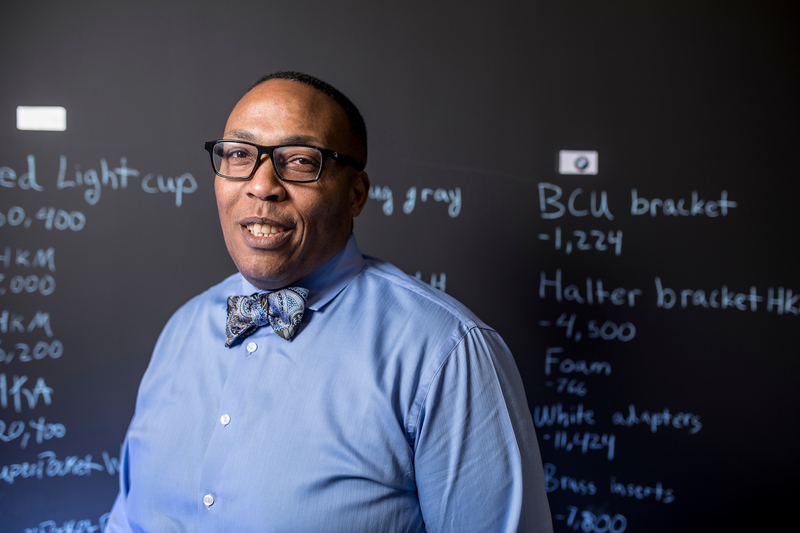 Outside of working in the office, Geoff has been an adjunct Professor at NC A&T for over 12 years. “I enjoy helping people define their goals and destiny as well as being able to find and train talent that is here.” He also sits on the board for the Greensboro Chamber of Commerce and Board of Visitors at NC A&T.